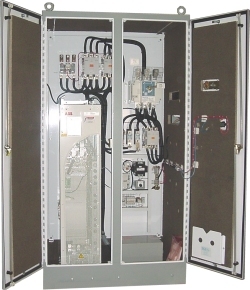 Variable Frequency Drive Systems and Controls – Powerformers Engineers (P) Ltd.
Power Formers Engineers is an OEM that custom packages, integrates and engineers AC Variable Frequency Drives (VFD), DC Variable Speed Drives (VSD) and AC Drive Controllers. Our drive systems integrate top of the line manufacturers, like ABB, Emerson (Control Techniques & Saftronics / Fincor), Siemens and WEG to name a few. Our added value custom drive packages are built to your specifications for your application. Which Drive is Right for your Application? If your needs are much simpler and speed control is not part of the work scope. 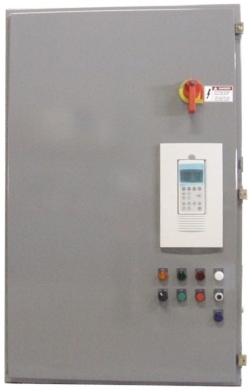 Joliet Technologies can provide Custom AC Drive Controllers consisting of contactors, starters, relays, pushbuttons and PLCs. Our engineers can provide all PLC and Peripheral Programming needs. 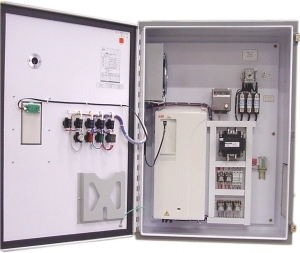 Panels can be designed by another OEM or we can help with engineering to specifications provided.